Work as the repair car master in the kids garage auto repair game where you must perform multiple tasks like repair car, washing, car design. Be an expert repair car master in the best car auto workshop service station. You have been assigned a dutiful task for clean up process. Kids enjoy these types of kid’s car wash games. Muddy cars and other dirty vehicles are coming to your workshop where you must first repair them and then take them for washing in your auto workshop service station. You have been a chance in this kid’s car cleaning game for some driving simulation where you are going to drive kids’ car. 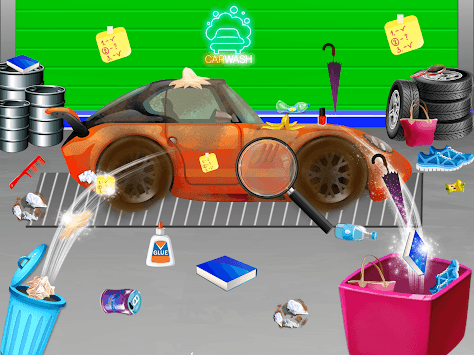 Clean up the vehicle completely with repair in the auto workshop and then start driving the kid’s car in this kid wash game. 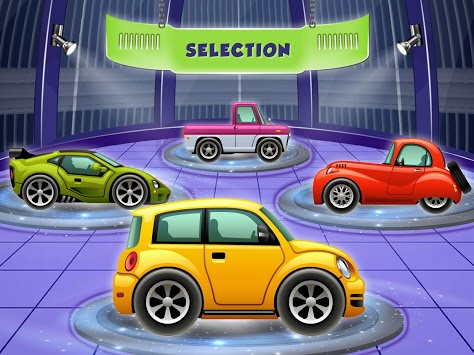 Perform different tasks for makeover and become the repair car master of vehicle wash. Test your driving skills as well in this motor auto vehicle wash simulator. Use different techniques for repair kids’ car in your car auto workshop so that you can then drive vehicle easily. This is your auto workshop service station where you are the mechanic. Customers are coming at your garage with their muddy car. Start the cleaning process quickly. There are various types of auto vehicles for makeover. Farm tractor, ambulance, police vehicles, racing cars, monster truck etc. for cleaning. Repair, maintain and color all the vehicles for drive in the driving simulator. Scrub the dirt and sticky residue from the exterior. Use mud cleaner to clean up the mud from the dirty kids’ car, wash the car with the water pipe. Spray it for more cleaning. Keep on washing until you get five stars. Take it to the auto workshop service station for the repair as your motor needs tire change. Your auto vehicle is ready now! You can change the color of your auto vehicle. Fill some patrol in your motor from the oil filling station and tap on the accelerator for the extreme driving. You will never find a driving game like this in which you will wash it first and then you will get a chance to show driving skills. This is a fun motor wash cleaning simulator game. Get addicted to it and start working at a garage of your own.